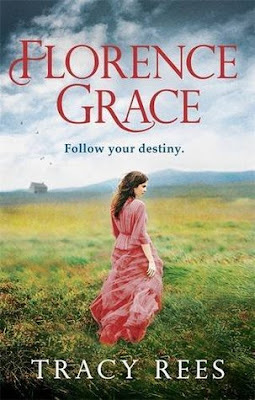 Following on the heels of last year's Amy Snow, Tracy Rees has written Florence Grace. I really enjoyed Amy Snow, although given a choice I do believe this is the one I would want to reread in the future. 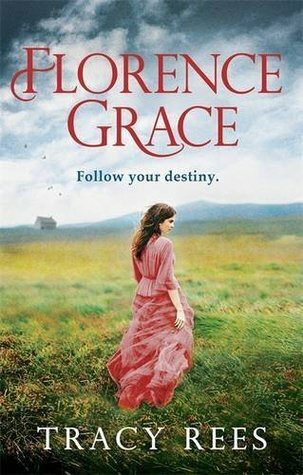 Florence - the heroine of the story is a spirited young woman, she takes the knocks that come her way and remains standing - in herself. We first meet her in Cornwall, the place she loves. Already she has learned about love and friendship from her Nan, her teacher and the wise old woman Rilla. When she is scooped up and taken to London she is totally out of her depth. Isn't it a dream to finally find you belong to a rich family? Well, it depends on what they are like! This one - ruled by an iron fist of a wily old patriarch, it is rather a dark place. And the city is so foreign to Florence with her love of being outdoors and in nature. She is treated quite cruelly really and yet... is not broken. She makes a friend with a young woman - Rebecca who while being a great friend has some wisdom that Florence thinks about and acts on. She also befriends one of the family who is totally disregarded by the rest of the family, relates well to Sanderson one of her cousins and falls in love with Turlington her other cousin. However Turlington is a dark character, deeply wounded by his past and perhaps in spite of loving and being loved is somehow incapable of redemption. Together they befriend a young boy - Jacob, someone who has a wounded past as well. What will become of him? The story underlined the importance of life and that it is what we make of it. Each of us is important, yet we have that amazing ability to choose how we live it. We can be dragged down or ... we can stand with spirit and live this amazing life fully. Each character makes those choices and many of them were heart warming. Kindness never goes amiss. I loved the descriptions of nature, Tracy Rees has a gift for bringing the countryside alive and as well taking me away to Victorian England with the riches and poverty of that time. It was totally worth reading and I know one day I will want to return and pick it up again. Oh this looks excellent Kathryn. it isn't available in the US yet but Amy Snow is. Thanks! Amy Snow was interesting too. This sounds like a beautiful book...I'll keep an eye for it when it arrives in the US. Do Melinda, may be 2017. Loved your review, Kathryn. It sounds really good! Thanks Mary, yes it was very enjoyable and great writing. Thank you for the review. A new one for me. Hope it comes your way some time Mystica. Better than Amy Snow? Can't wait to get my copy! Ha so sounds like you read Amy Snow! Yes poor guy was really muddled! I love settings such as Cornwall and the English countryside. This book sounds lovely. Thanks for sharing. And in this one the setting is fantastic and like a character. Sounds terrific. I will keep an eye out for it. Thanks for sharing your great reveiw.